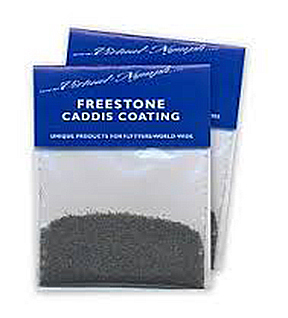 Virtual Nymph's Freestone Caddis Coating is very simple to use and creates a realistic Caddis Case. After you have made your underbody simply coat the body with glue and sprinkle on the Freestone coating for a realistic case. The density of Freestone Caddis Coating is as heavy as lead therefore making fast sinking caddis patterns.